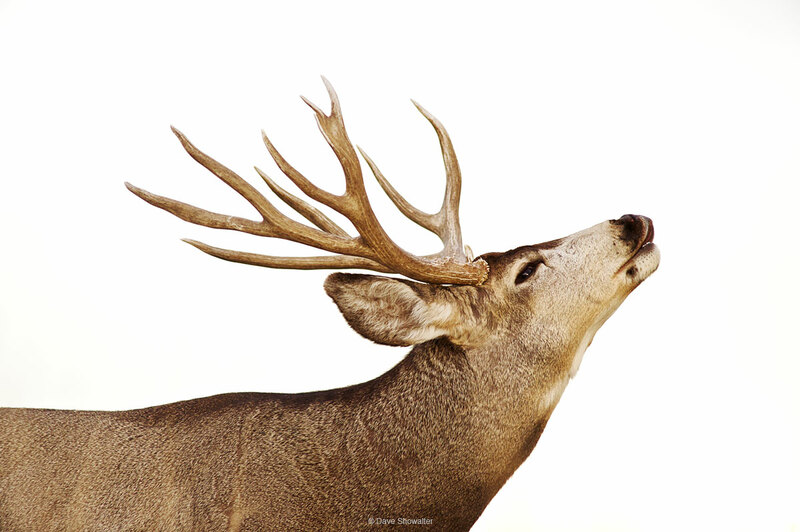 During autumn mating season, or rut, mule deer exhibit a lip curl behavior called flehmen response. He is testing the scent of a female for her readiness to mate. Rocky Mountains Arsenal NWR is an urban refuge in the Denver metro area that (then) Secretary Ken Salazar called the most important urban refuge in the system. The refuge has strong mule deer and white-tailed deer populations and the fall rut is a great time of year on the shortgrass prairie. Photo © copyright by Dave Showalter.